Businesses have long struggled with ensuring their employees are appropriately trained. Traditionally, such training is a mixture of on the job training, bulky manuals, and videos. By taking a page out of the modern educator's handbook, corporations can streamline training by incorporating online learning management systems (LMSs) into their formal training structure. LMSs allow employers to consolidate training materials into an easily accessible system that tracks the employee training process from start to finish and determine how successful that training is using learning assessment exams. A learning management system (LMS) is a software application that provides educational content and training online. Many LMSs are web-based and are offered as Software as a Service (SaaS) with several strategies for creating and implementing content into an LMS, such as via Sharable Content Object Reference Model (SCORM) and Learning Tools Interoperability (LTI). 1. Cost-Effective – Companies that switch their corporate training online save time and money. By making courses available online, you avoid the inconvenience of sending members to locations away from the office and paying for fees to cover hotel, food and other travel expenses. Having a centralized location for learning material also reduces the amount of unnecessary paperwork,since the content can be reused, updated, and accessed as needed. 2. Better Results – Online learning offers a variety of tools to increase engagement between students and their instructors. This enriches the learning experience and has shown to heighten knowledge retention. Many LMSs come with reporting features to measure performance and identify if learners are meeting the milestones set out for them. 3. Flexible – LMSs are extremely flexible in the way they allow users to access the material wherever and whenever they want via desktop or mobile devices. This becomes extremely useful for businesses who wish to provide consistent, quality content for all employees, even for those in remote locations. 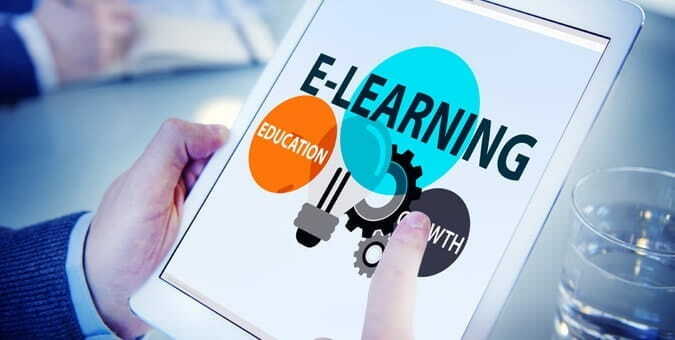 Advances in the eLearning industry are on the rise thanks to millions of tech-savvy individuals wanting more convenient options for online learning software. Companies and institutions are recognizing the value of eLearning and the benefits an LMS can offer when applied to corporate training. Finding the right LMS that's right for your organization, however, takes large amounts of research. Rather than going with an off-the-shelf solution that only offers standard features, many businesses are opting to develop or customize their own LMSs with known tools like Moodle, Articulate, Blackboard, and Litmos to ensure they have the features that will be most effective to meet their specific industry needs.